Barret’s Chapel Elementary school hosted its annual Geography Bee on Tuesday, January 14, 2014. The longest Geography Bee in recent memory featured faculty members Mrs. Denman, Mr. Jones, Mrs. Adler, Mrs. Green, Mrs. Turner, and Mrs. Johnson as pronouncer, timekeeper, and judges. Mrs. Clemens organized a wonderful bee that was well-attended by parents, friends, and classmates of the fifteen participants from third through fifth grades. Questions up to the eighth grade level tested the students’ knowledge of states, countries, and continents. 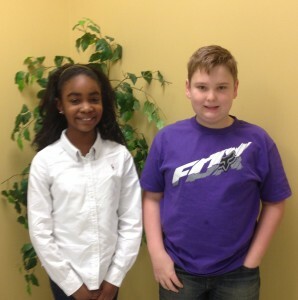 Myah Martin, a fifth grade student, triumphantly won the Geography Bee, with Nathan Schultz, also in fifth grade, valiantly earning his second place title.